The Umpires Panel have selected their representatives for The Cancer Research UK Boat Race 2018. Sir Matthew Pinsent will umpire his first Women’s Boat Race. 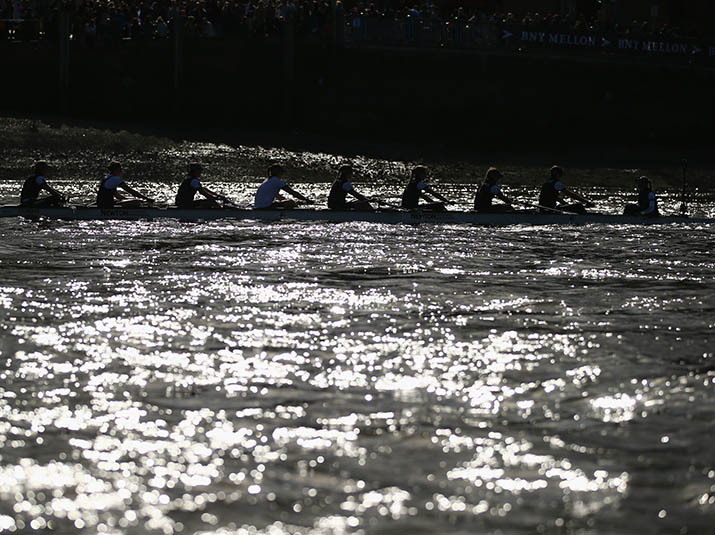 Pinsent took the reins of his first Blue Boat Race in 2013 and successfully umpired last year’s Men’s Boat Race. The 46-year-old has four Olympic and ten world championship gold medals to his name. John Garrett will take charge of The 164th Men’s Boat Race, having previously umpired three Boat Races, including the infamous 2012 edition. Garrett rowed for Cambridge from 1983-85 and competed as part of the British team at the Los Angeles, Seoul and Barcelona Olympics. Last year he umpired the Osiris Blondie race. Garrett and Pinsent last worked together in 2012, where Pinsent was an assistant to Garrett in The Men’s Boat Race. Matt Smith will hold the flag for the Women’s Reserve Race between Osiris and Blondie, whilst Richard Phelps will lead the Men’s Equivalent between Isis and Goldie.